After examining the dynamics of populations and how populations interact with the environment, it is easy to see how this is currently impacting learning organizations. Learning networks are both changing and challenging what traditional learning looks like. Beyond the influence of technology, there are paradigm shifts within education – both in the K-12 and higher education environment. The focus is now student-centered with engaged and experiential learning. More educators include authentic, problem-based, and self-regulated learning opportunities into their curriculum. 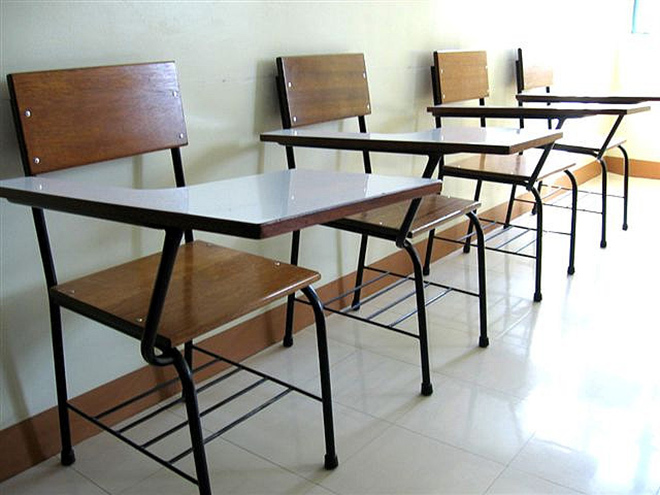 When the classroom is flipped, learners are encouraged to be part of the cooperative learning program. As learning population ecology evolves it also gives way to new players that impact the environment, such as P2PU and Udacity. It is relevant to consider how the open learning environment will interact with traditional educational models. Will these seats be filled for long? How can open and connected learning environments “play well” with the current educational models? Many of these issues are being reviewed at different organizational levels to determine the efficiency and value added. For sustainability of learning and to support our learners needs, it is important for more institutions to think broadly about the impact of population ecology for learning. Are we considering the rational organizational system as a function of accountability? Or do we need to consider how resources are being adapted to support creation and our changing learner needs? When applying population ecology theory to current learning organizations, it often provides more questions than solutions. I do not have answers for these issues yet; however I think they are quite relevant and more educators need to consider what the future learning environments will look like. Carroll, Glenn R. (1984). Organizational ecology. Annual Review of Sociology 10: 71-93. Baum, J. A. & Oliver, C. (1992). Institutional embeddedness and the dynamics of organizational populations. American Sociological Review 57(4): 540-559. Hannan, M.T. & Freeman, J. (1984) Structural inertia and organizational change. American Sociological Review, Vol.49, 149-164. Stinchombe, A.L. (1959) Bureaucratic and craft administration of production: a comparative study. Administrative Science Quarterly, Sept. 168-87. Amburgey, T. L. & Rao, Hayagreeva (1996). 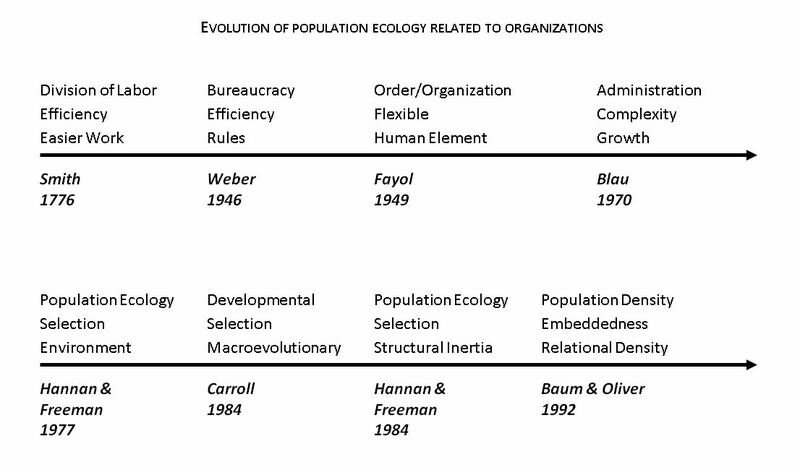 Organizational ecology: Past, present, and future directions. Academy of Management Journal 39(5): 1265-1286. Singh, J. V. & Lumsden, C. J. (1990). Theory and research in organizational ecology. Annual Review of Sociology 16(1990): 161-195. Kearney, R. C. (2003). Patterns of union decline and growth: An organizational ecology perspective. Journal of Labor Research 24(4): 561-578. Salimath, M. S. & Jones, R. (2011) Population Ecology Theory: Implications for Sustainability. Management Decision, 49 (6): 874-910.